"Jealousy: The stealing away of your beloved!!!" Over the top lines like this are what we have come to accept from a romcom like Nodame Cantabile. Huge Nodame Cantabile Fan here to write a review about the 2nd OVA! Although only 11 minutes long, I felt that this OVA accomplished exactly what it needed to do without leaving much left to be desired. 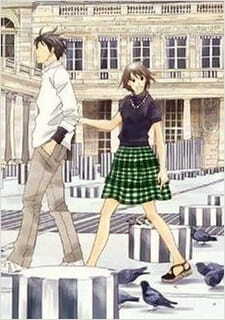 A funny spin off on the Nodame Cantabile series taking place after the 11th finale episode, the story follows a hilarious interchange of pace and a new light on Chiaki and Nodame's continuing relationship. Art is relatively the same and sound again is on point (Love the OST and ending!). Character development is so-so but I'm definitely glad to see Yuiko again. Definitely a very short addition to the end of a superb series, but a lighthearted way to just show a little more on how our favorite main characters are doing.